When The Muppet Movie was released in the June 1979, it was a critical and box office hit, catapulting Kermit and Miss Piggy into the realm of super-stardom. The Hollywood awards community, however, didn’t quite know how to define the picture in terms of what areas deserved nominations. The performers were much more than voice artists but since you couldn’t see them, should they get nominations as actors? Clearly it had spectacular effects (and did win a Saturn Award for best fantasy film), but there didn’t seem to be an obvious Oscar category that would appropriately celebrate the work in the film. The only area that seemed straight forward was the music, and Paul Williams’ score and his song with Kenny Ascher, “The Rainbow Connection”, were both nominated. CAMPO got front page treatment in Ohio, and the UPI story got picked up around the country. Hundreds of letters of support poured in and journalists from as far away as London and Sydney did interviews. Collins and Hall contacted Henson Associates and explained their activities and asked to be allowed to sell t-shirts and buttons to promote their cause. Everyone at the company was fittingly amused and permission was granted. Michael Frith even created artwork for CAMPO to use and connected them with HA!’s apparel licensing partner. Momentum built, but the Academy Award committee held firm, insisting that the existing rules precluded Miss Piggy’s nomination. 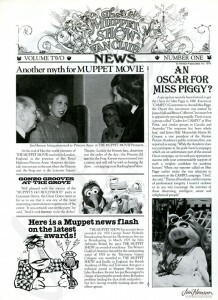 As a consolation (and to enhance ratings), she and Kermit were invited to appear on the telecast, explaining the very rules that kept them from being nominated. As least Miss Piggy got a new evening gown. 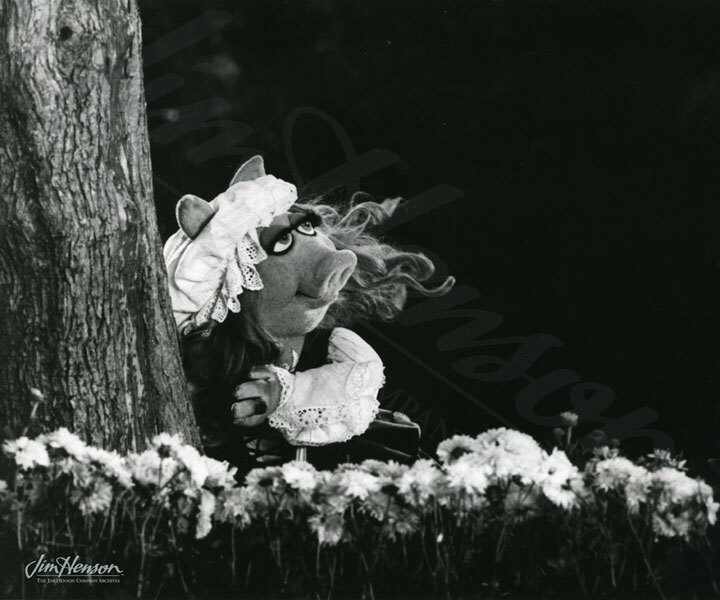 Miss Piggy in The Muppet Movie, 1979. 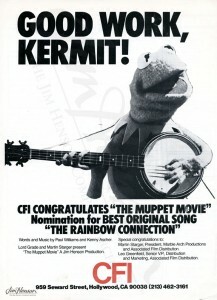 Congratulations ad from Consolidated Film Industries, a major LA film processing company, 1980. 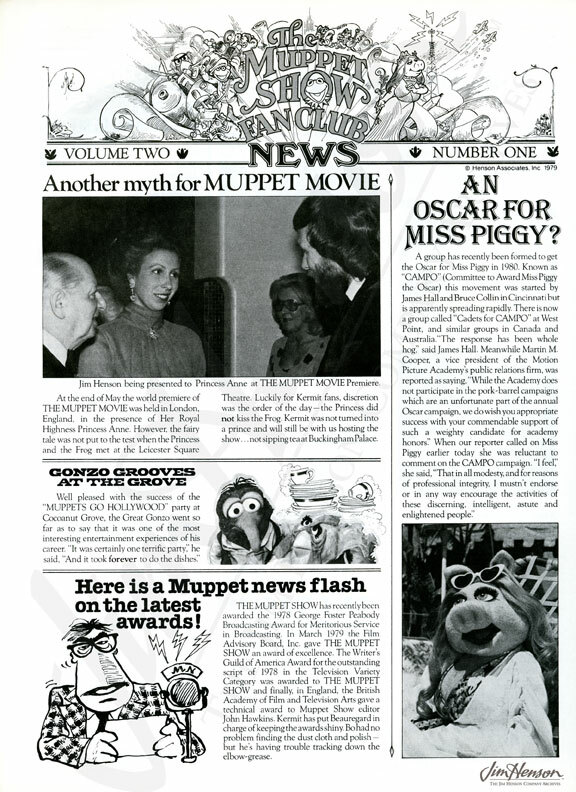 CAMPO featured in The Muppet Show Fan Club Newsletter, 1979. This entry was posted in 04-April '80, 1980, Appearances, Social and tagged Academy Awards, Bruce E. Collins, CAMPO, Henson Associates, James C. Hall, Kenny Ascher, Kermit, Lisa, Lisa Henson, Michael Frith, Miss Piggy, Ohio, Paul Williams, Rainbow Connection. Bookmark the permalink.